Dogs might be man’s best friend, but every year, millions of Americans are treated for dog bite wounds. A dog bite isn’t just a playful gesture—it can inflict serious injuries. Small wounds can get infected, and every year, about 27,000 dog bite victims are hurt badly enough to need reconstructive surgery. If a dog is rabid, any bite is life-threatening. Dog bites can leave you temporarily or permanently unable to work. Sadly, many of the dog bite victims we see are children. If you or a family member has been bitten by a dog in Marietta, we urge you to contact a lawyer immediately. At John Foy & Associates, our experienced dog bite attorneys are well equipped to help you. We have been protecting the rights of dog bite victims for more than two decades. When we started, we were just a small law office dedicated to helping victims recover financially from accidents and attacks. Though we’ve grown into one of the largest firms in Georgia, we’ve never lost that single-minded focus on getting victims the help they need. Let our Marietta dog bite lawyers offer you a free consultation to discuss your case. Contact us at 404-400-4000 and get your free consultation today. What do I do if a dog bites me in Marietta? The name, address and other contact information for the dog’s owner. The dog’s vaccination record, and in particular, when the dog had its last rabies shot. Whether the dog has bitten anybody before. Neighbors or bystanders sometimes will offer helpful information about the dog’s history and temperament. Dog owners don’t always like to answer questions, especially if their pet has just bitten somebody. And sometimes a dog’s owner is nowhere in sight. Don’t worry if you can’t find out anything. At John Foy & Associates, we have a team of investigators who will go to the scene of the bite and talk to neighbors who may know who owns the dog. We’ll also search public records to find out if the dog has bitten anyone before. Thorough our investigation, we’ll build your case for you. Should I report a dog bite to authorities in Marietta? The Marietta Police Department. Call the police right after the bite occurs and they will send officers to the scene to make an incident report. The officer may look at your injury and talk to witnesses. The report will be essential evidence in your claim. Cobb County Animal Control. Animal control handles all animal attack reports. They may be able to help you locate the dog or confirm its identity, and their records will show whether the dog has attacked people before. What will happen to the dog if I report a dog bite in Marietta? Who is legally responsible if a dog bites someone? The dog’s owner is responsible. Under Georgia law, owners must keep their dogs under control. That might mean keeping a dog on a leash, watching closely when it’s off-leash, or putting it in a crate at home when visitors are around. If a dog attacks someone, the owner has failed to keep the canine under control. As a result, the owner is legally liable for any consequences of the dog attack—including the cost of the victim’s medical treatment. Dog owners frequently minimize the seriousness of dog bites or try to blame the victim. Don’t fall for this. No matter what they say, if their dog bites you, they are liable. What money am I entitled to in a dog bite claim in Marietta? Courts also frequently award money for pain and suffering or to compensate you for an ongoing disability. Of course, money can’t reverse the damage and emotional trauma of a dog bite, but it can ease your financial stress as you cope with sometimes debilitating injuries. What if I’m bitten by my friend’s dog? It’s natural to want to avoid damaging your relationships or getting friends or relatives into trouble. But you should never hesitate to report a dog bite. We have represented many dog bite victims who worried about reporting the injury, but were hugely relieved to recover the money they needed to pay for their treatment. Remember that you are not making a claim against your friend. Your claim is with their insurance company—usually their homeowners’ policy—and your friend doesn’t have to pay anything. What if I was working on the owner’s property? The fact that you were working on the property doesn’t affect your rights. The homeowner is legally required to provide safe working conditions for you, and that means the dog must be controlled—possibly in a crate—while you are on the premises. 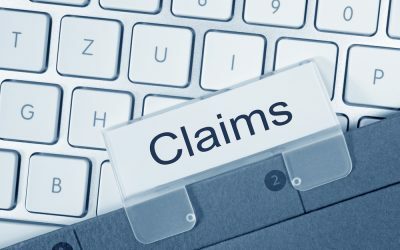 You may even be able to file a workers compensation claim that will make it easier to recover money. What does a Marietta dog bite lawyer cost? You should never pay up-front for a lawyer to handle your dog bite case. At John Foy & Associates, we don’t charge you a penny unless we win money for you. To us, this is only fair: you’ve already suffered a terrible injury, so why should you risk your financial well-being just to get legal advice? It’s easy to find a lawyer who will take your dog bite case, but it’s hard to find a law firm that has a record of winning them. At John Foy & Associates we have been successfully representing dog bite victims for 20 years. Schedule a free consultation and we will talk with you about your case and help you understand your options. Call us at 404-400-4000 or fill out the form to your right and get your FREE consultation today.